TribalVision, an outsourced marketing department for hire, has been named a Growing Businesses Online finalist in this year’s Premier Partner Awards, presented by Google Partners. The Premier Partner Awards honor innovation in digital marketing across Search, Mobile, Video, Display, Shopping, and Growing Businesses Online. TribalVision’s unique strategic marketing model is designed to fully align interests with client outcomes guaranteeing an objective, client-first partnership. TribalVision’s award submission featured a profile describing their recent work for Summer Infant. Summer Infant was looking to drive growth in the direct-to-consumer channel, so they partnered with TribalVision to achieve this aim. TribalVision worked to provide recommendations to enhance the Summer Infant website and strategically expanded its digital marketing reach across a multitude of channels. They then fully utilized Summer Infant’s strongest-performing channel (i.e. PPC) by launching an array of campaigns to achieve its 2018 goals. “While TribalVision did not take the final win in our category, we count it as an honor and achievement to be one of the 8 finalists (in all of the Americas) in one of the 6 categories. We are proud of the Summer Infant team and honored to have our work recognized with a nomination,” said Eugena Lee, Senior Marketing Associate. 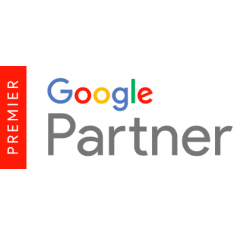 TribalVision is part of a select group of digital specialists that Google celebrates as Premier Partners. See the full list of Premier Partner Awards 2018 winners at g.co/PartnerPartnerAwards.